Ever since Vada Chennai has hit screens it has been receiving only positive replies from its fans. 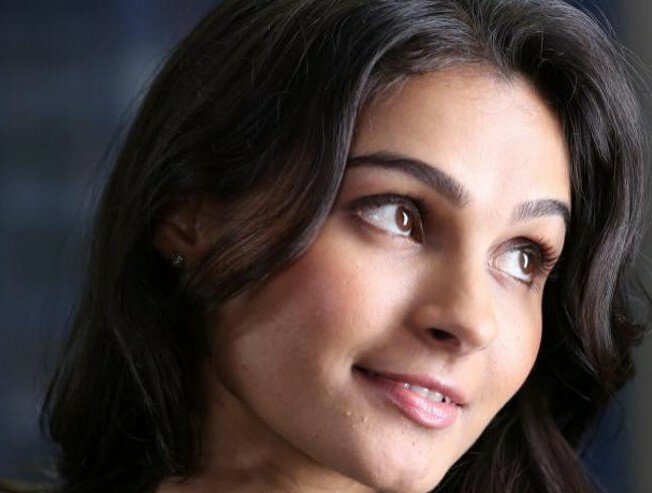 Recently Vada Chennai actress Andrea Jeremiah posted a Tweet during her first look for the film. She also stated in the tweet that she never expected that this role would change her life in such a great way. She is extremely grateful for the whole crew of Vada Chennai for being chosen for the role and is extremely happy for its success. Vada Chennai has hit screens today and the audience has given the film a positive response. The Film is directed by Vetrimaran and stars Dhanush in the lead role with Andrea, Aishwarya Rajesh, Ameer, Samuthirakani and Daniel Balaji. The film is a trilogy and the next two parts are scheduled to release in the coming years. >>EXCLUSIVE: "No, it is not a remake"
>>VADACHENNAI - Ennadi Maayavi Nee Video Song Is Here! >>TOP 10 CRITICALLY ACCLAIMED MOVIES OF 2018! >>VADA CHENNAI Original Sound Track Is Here! >>Breaking: First Big News On Vada Chennai 2! >> Aiswarya Rajesh & Abarnathi At Karthik Srinivasan Party !! >> "KAVULI | Thriller Pilot Film | Launched by Aishwarya Rajesh"